Darius West joins Mike Edwards as two safeties from Kentucky competing in the combine today. West had a break Senior season after dealing with injuries in his first couple of years as a Wildcat. West finished his Senior year with 86 tackles, 6 pass breakups, and 3 interceptions. West had 85 tackles and one interception his Junior year. 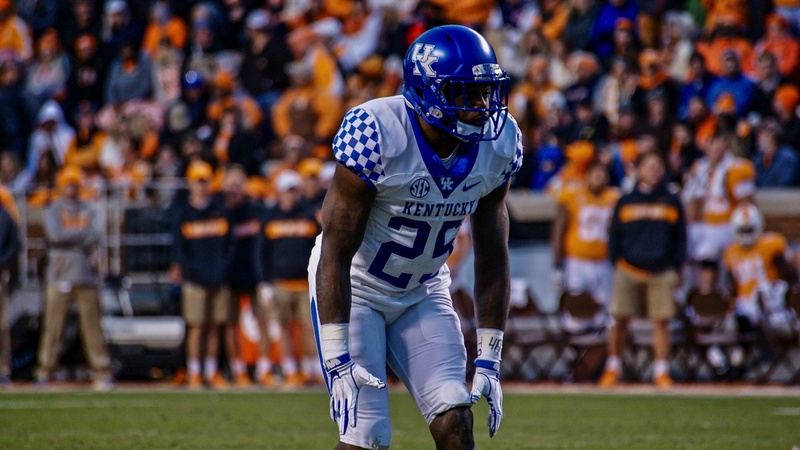 West had been labeled the fastest player in Kentucky’s secondary last season by fellow teammates. Kentucky Associate Head Coach, Vince Marrow, also thinks West will impress people with his running.